Association -Sentire- with transnational partners from Italy Turkey and Bulgaria announced the closure of project activities Power for youth. The project was financed by funds provided by the European Union through the programme -Erasmus+- Key Action 1: The mobility of people for educational purposes – Draft mobility for young people and youth workers. Association “Sentire” with transnational partners from Italy, Turkey and Bulgaria announced the closure of project activities Power for youth. The project was financed by funds provided by the European Union through the programme “Erasmus+” Key Action 1: The mobility of people for educational purposes – Draft mobility for young people and youth workers. The group of this project was comprised of a total of 34 youth. They participated for 9 days in various activities undertaken by non-formal education methods, which aimed was to help unemploye youth useing nonformal activites. Duration of the youth exchange was between 20.03.2018-28.03.2018. 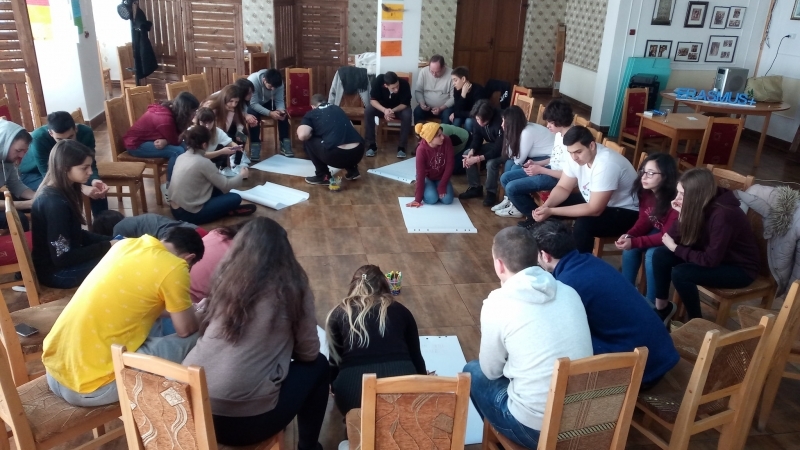 The activities of this youth exchange took place in Horezu, Romania, where participants had an environment for networking and teamwork in order to implement certain activities in the field of nondiscrimination, develop the cultural skills, increase self-confidence. O1- Developing entrepreneurship skills for 34 youth participants between the ages of 18 and 30, from 5 partner countries for a 8 day activity period. O2 - Developing skills through non-formal education for 34 youth participants from 5 partner countries over a 8 day activity period. O3 - Developing cultural and linguistic skills for the 34 participants over a 9 day activity period. O4 - Supporting 15 youth with lower opportunities from the 5 partner countries - 3 people from each country, 3 youth roma people youths and 20 youth with low opportunities in Horezu involved in the project activities. youth unemployment problem in the rural areas where they work. This project was funded with support from the European Commission. This communication reflects only the author's point of view, and the Commission is not responsible for the use of the information contained in this communication.